We are increasing our reach to the community as we create homes for Detroit's chronically homeless, bringing life to the historic former Michigan Bell Building on Oakman Boulevard in Detroit. The NSO Bell Building is a groundbreaking effort that provides permanent, supportive housing for homeless adults and much needed support services to help them stabilize and turn their lives around. It also is the home of NSO's headquarters. The $50 million community investment is providing 155 safe, fully furnished, one-bedroom apartments for formerly homeless adults. NSO will provide mental health, addiction treatment, intensive case management, financial literacy, nutrition classes and other on-site support in one location to better help residents restore their lives. A health care clinic is located in the building for residents and the community to utilize. The facility also includes amenities such as a gym, library, computer room, art and music rooms, and a chapel. ​The project is acting as a catalyst for revitalizing the surrounding neighborhood. With new residents and approximately 200 NSO employees inhabiting the building, we foresee an increase in customer traffic for local businesses and opportunities for the creation of new businesses in the community. 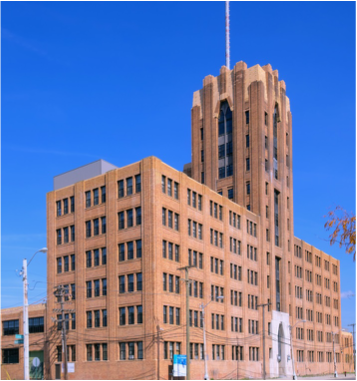 In addition, the NSO Bell Building is expected to save taxpayers more than $5 million annually, as some estimates show that a single chronically homeless individual can cost taxpayers $50,000 or more a year in police calls, ambulance calls, emergency room visits, and time spent in the hospital — all paid for with public dollars.